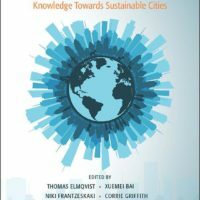 The book is unique, an unusually wide range of academic disciplines contribute with taking a serious approach to building interdisciplinary knowledge around a much-needed systems approach to further deepen our understanding of the complex global urbanization process. These perspectives are further enriched by the contribution from more than 30 architects journalists, artists, designers, activists and youth, giving a diversity of often neglected voices and perspectives on the challenges and solutions facing the Urban Planet. Download the ebook free of charge here.